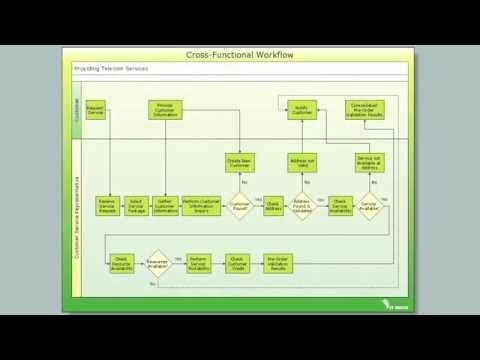 Cross-Functional (Deployment) Flowcharts visualize what functional units (people, departments or functional areas) are responsible for the business process operations. 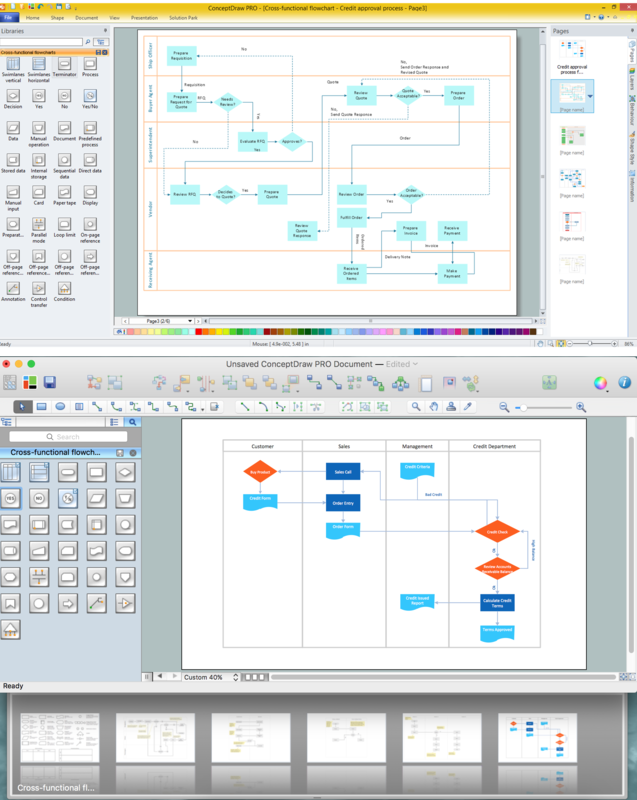 The flowcharts are divided into rows/columns of functional units. 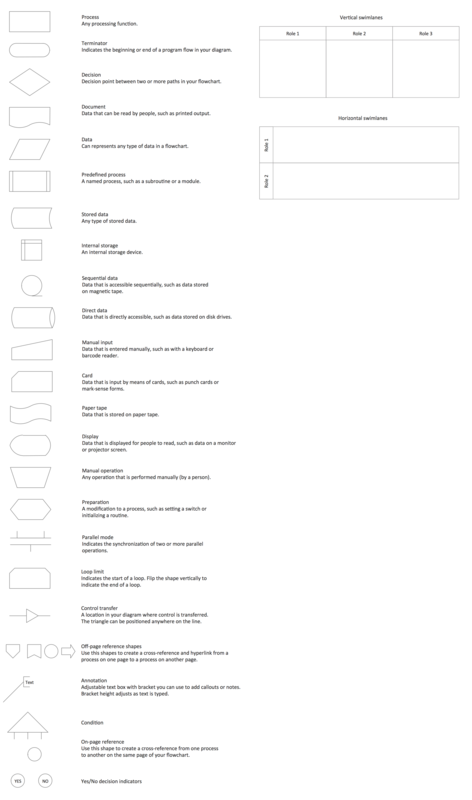 Blocks of various shapes represent the process steps, and are placed in rows/columns of the responsible functional units. 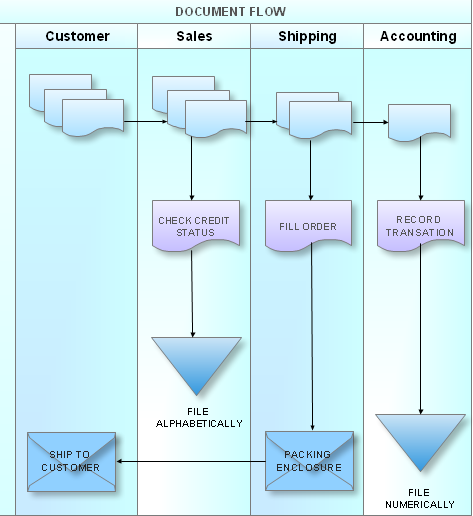 These flowcharts are used to display the relationships of processes and responsible functional units. 1. 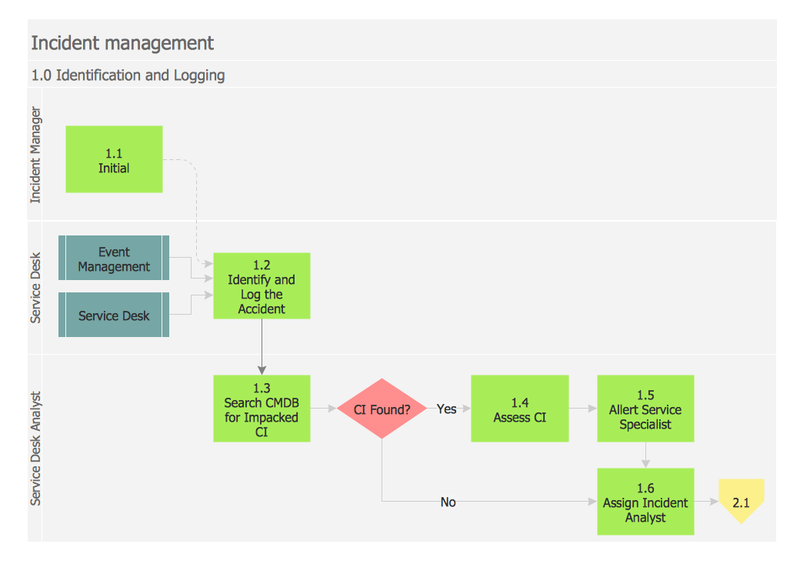 Identify the process to be improved (based on a critical business issue): The identification of key processes can be a formal or informal exercise. 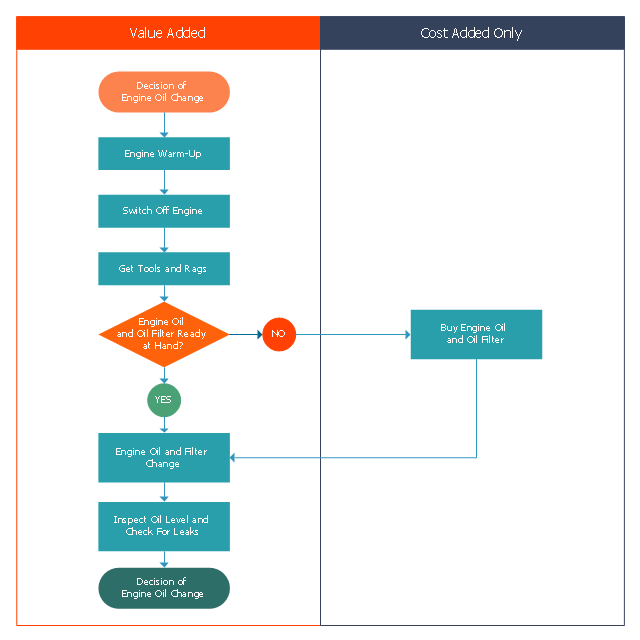 The management team might select processes by applying a set of criteria derived from strategic and tactical priorities, or process selection is based on obvious performance gaps. It is important is to select the process(es) which have the greatest impact on a competitive advantage or customer requirement. 2. Develop the objective(s) for the project based on the requirements of the process: The focus might be on quality improvement, productivity, cost, customer service or cycle time. The goal is however always the same; to get the key process under control. 3. Select the members of the cross-functional team: A horizontal (cross-functional) analysis is carried out by a team composed of representatives of all functions involved in the process. While a consultant or in-house staff person can do the job, the quality of the analysis and the commitment to change is far greater with a cross-functional team. 4. 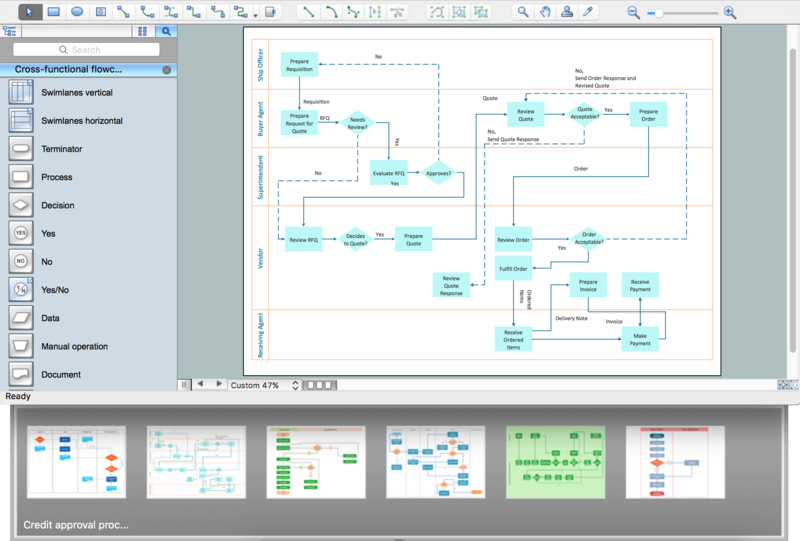 Document the current process by creating a flowchart or "organization map": Describe the process regarding the Organizational level, the Process level and the Job/Performer level according to Rummler. 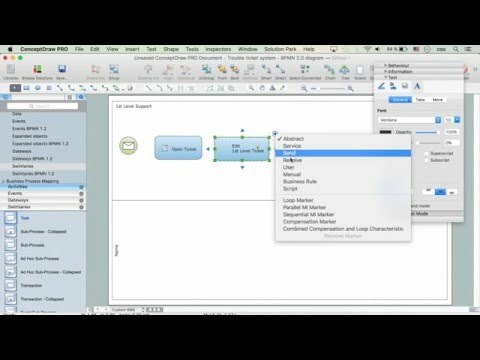 Develop a cross-functional process map for the process. 5. Identify "disconnects" in the process: “Disconnections” are everything that inhibit the efficiency and effectiveness of the process. The identification should be categorized into the three levels: The Organizational level, the Process level and the Job/Performer level. 6. Recommend changes (organizational, in the process or in its execution): Categorize and prioritize the main problems and possibilities, evaluate alternative solutions. 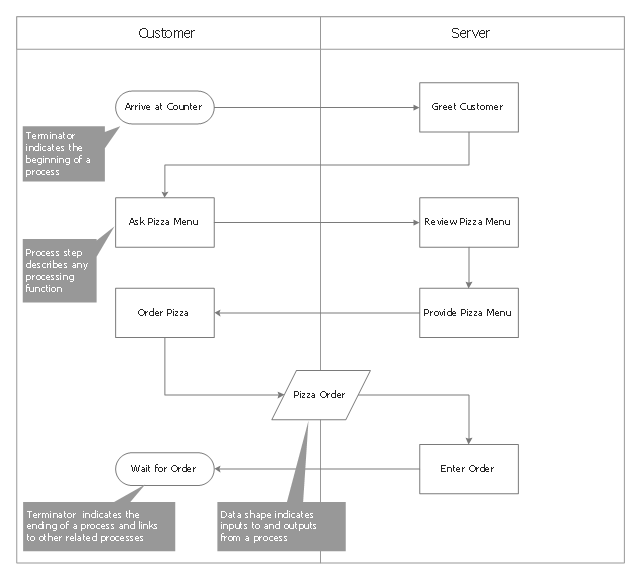 Develop a cross-functional process map for the recommended process. 7. 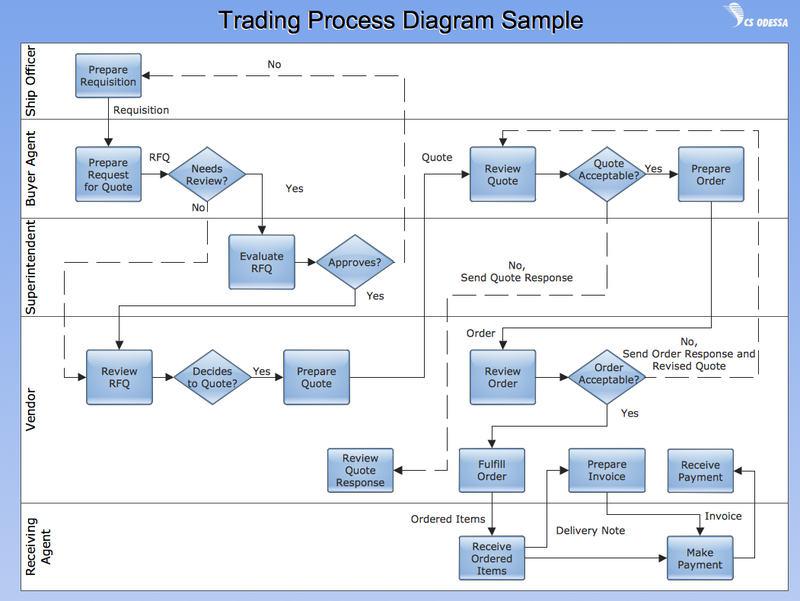 Establish process and sub-process measures: The process measures should reflect the objectives of the project.